• 1. 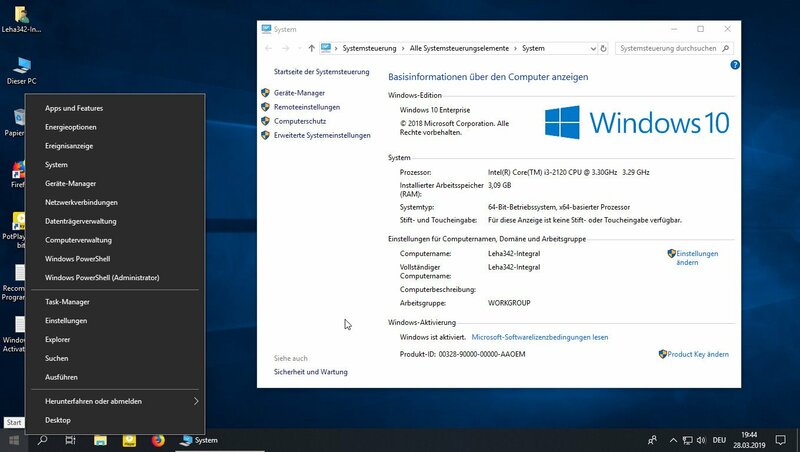 KB890830 - Windows Malicious Software Removal Tool v5.70.15749.1. • 2. 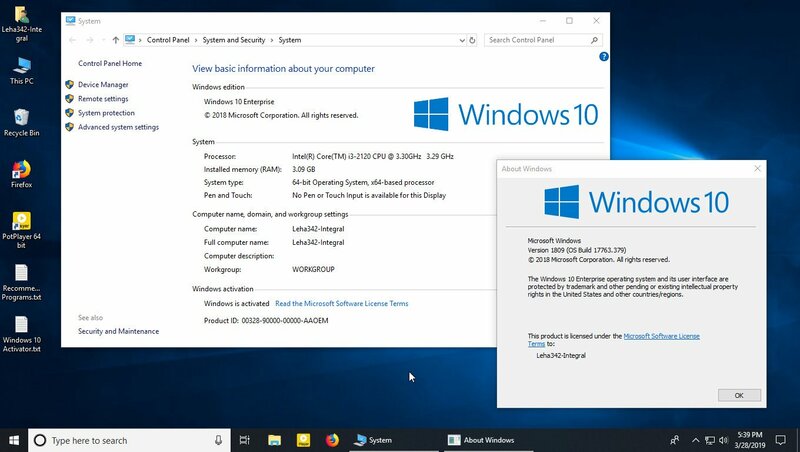 KB4465065-v2 - Intel Microcode Updates for Windows 10 version 1809. • 3. KB4480056 - Cumulative Update for .NET Framework 3.5 and 4.7.2 for Windows 10 version 1809. • 4. KB4486553 - Cumulative Update for .NET Framework 3.5 and 4.7.2 for Windows 10 version 1809. • 5. 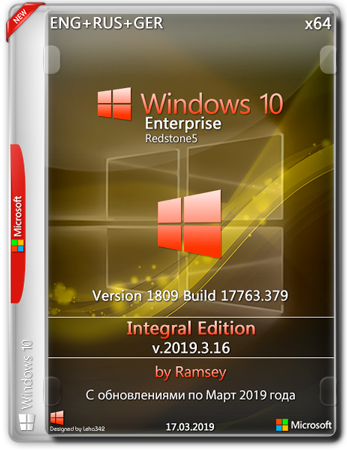 KB4489899 - Cumulative Update for Windows 10 Version 1809 (OS Build 17763.379). • 6. 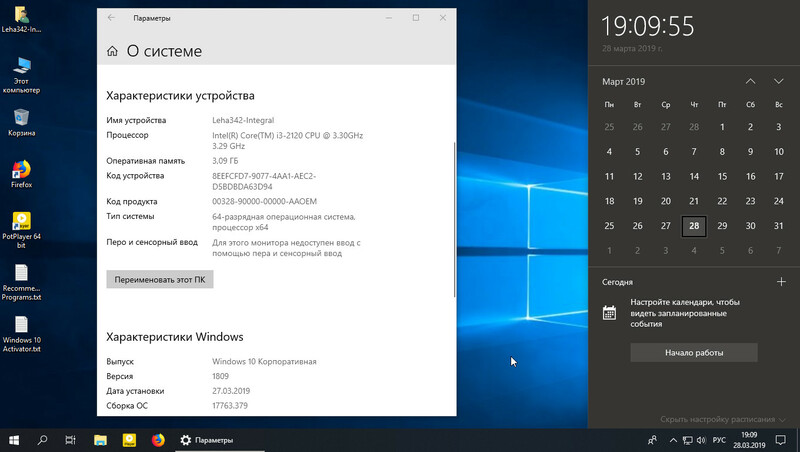 KB4489907 - Security update for Adobe Flash Player for Windows 10 Version 1809. 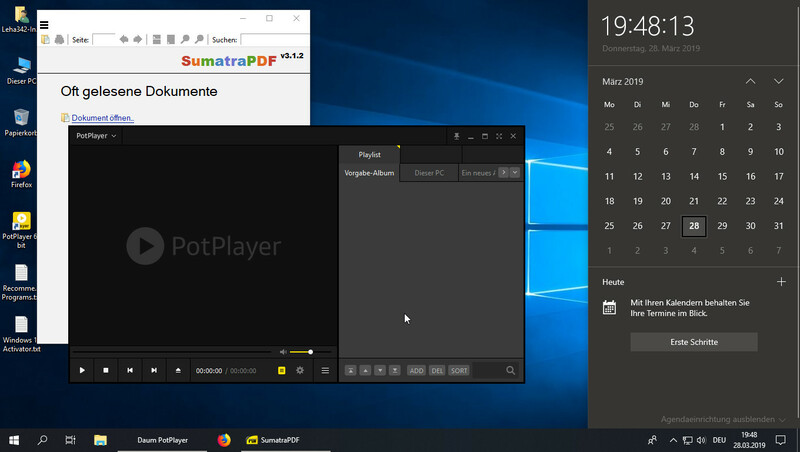 • Visual C++ Redistributable 2017 v14.20.27404. • Добавлены последние обновления по март 2019 года: KB4465065-v2 | KB4480056 | KB4486553 | KB4489899 | KB4489907. 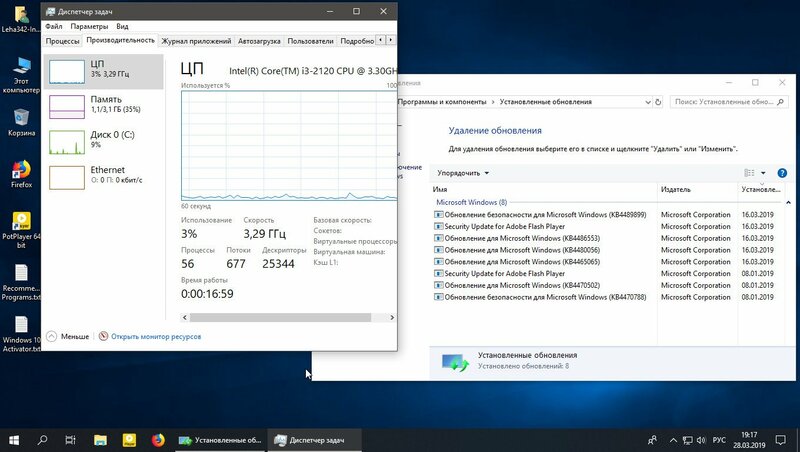 • Обновлен Microsoft Visual C++ 2017 Redistributable до v.14.20.27404. 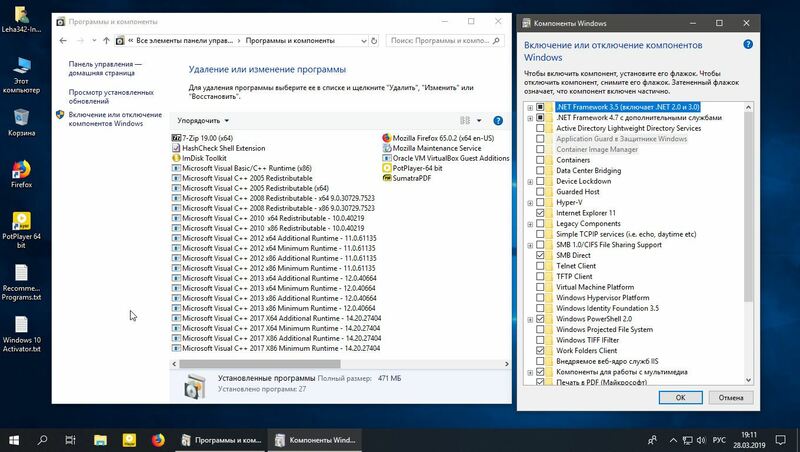 • Обновлен Malicious Software Removal Tool (KB890830) до .v5.70.15749.1. 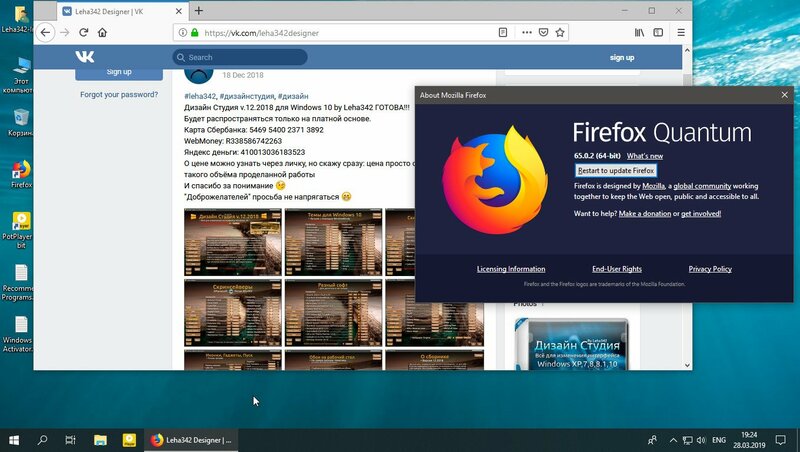 • Обновлен Mozilla Firefox x64 до v.65.0.2. 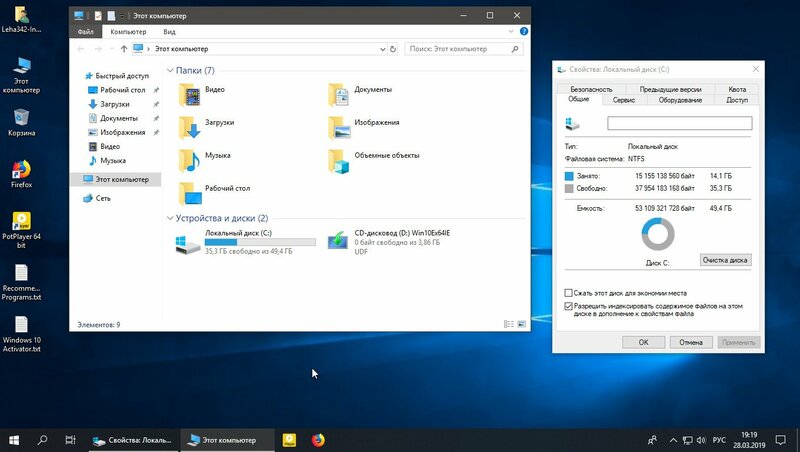 • Обновлен 7-Zip до v.19.00. • Обновлен HashCheck до v.2.4.1.58-alpha.